Summer is creeping up and we are all excited about some fun in the sun! Lemonade recipes are in order! Nothing screams summer more than lemonade. We love it at our house and you can make so many variations that are absolutely wonderful. 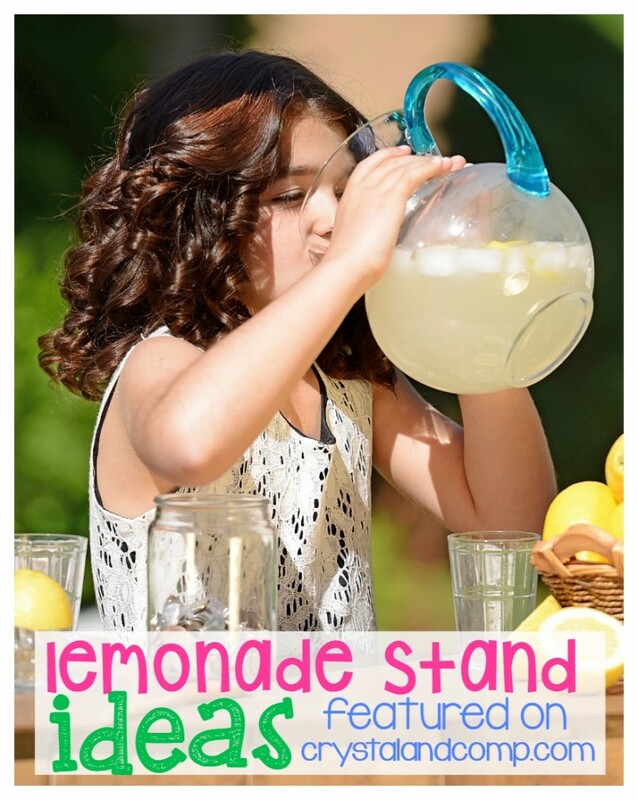 (Need lemonade stand ideas? We have a ton of ideas!) It doesn’t have to be just lemons, sugar, and water. You can totally make it creative with yummy summer fruits too! Homemade lemonade is seriously the best and so good for a hot summer day. Kids love them too! Lemonade stands are not a thing of the past and many of these ideas are a great way to let the kids earn some change. 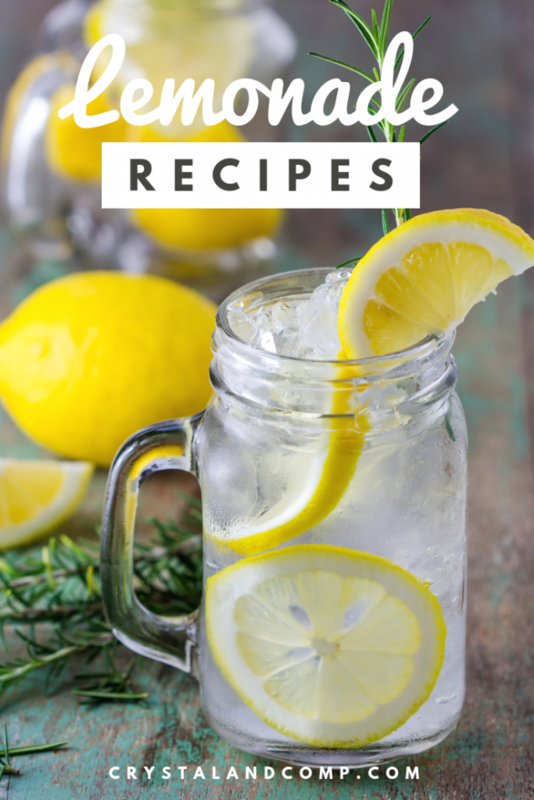 So whether you are gearing up for a fun neighborhood lemonade stand with the kids or just a cool drink for the poolside these refreshing lemonade recipes are perfect! 5. Oh my this Homemade Peach Lemonade is so amazing and is sure to be a hit for summer. 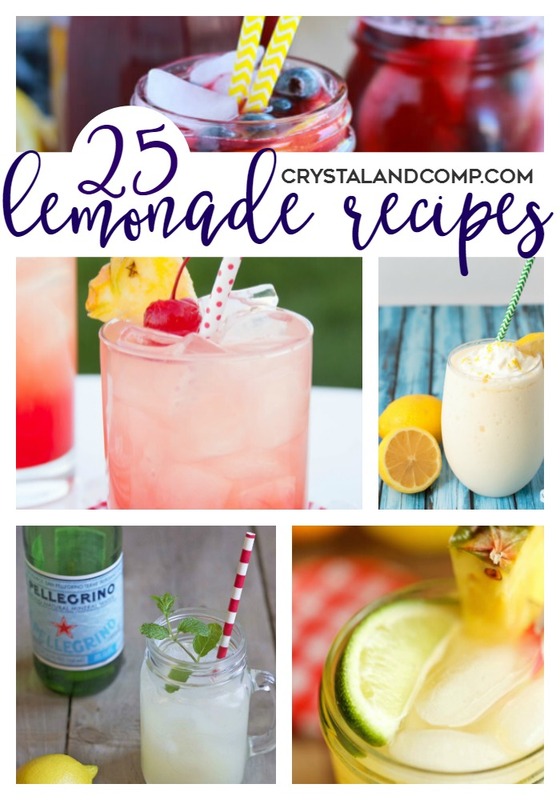 Crystal & Co.
What are your favorite lemonade recipes? Share your ideas! Awesome roundup! My son drinks lemonade year round, but has been rather picky since we cut out all artificial preservatives, colors, etc. I’m going to try these asap! Thanks, Pinning right now! Great round up of recipes. Looking forward to trying some this summer! Visiting from Turn It Up Tuesday. I LOVE lemonade! These recipes have my mouth watering and longing for summer. There are definitely a few here I’ll be trying. Now this is a post to save for summer! Thanks for sharing on the “What’s for Dinner” link up!